Uri Nissan Gnessin (1879-1913) was born in Starodub, the Ukraine, the son of a rabbi. He studied at his father's yeshiva. Self-educated in secular subjects such as classical and modern languages and literature, he was attracted to the Enlightenment movement and was influenced by Russian literature. 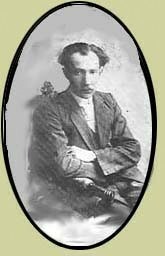 Gnessin began to write and edit at an early age. 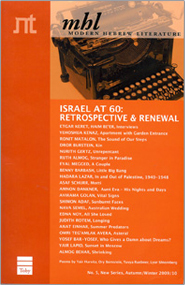 At age 15, together with Yosef Haim Brenner, he started publishing a literary weekly for a small number of friends and readers. At age 18, he joined the editorial staff of a Hebrew newspaper in Warsaw, where he published poems, literary criticism, stories and translations. In 1907 he moved to London, where he assisted Yosef Haim Brenner in the publication of a Hebrew periodical. He then spent several months in Palestine but was unable to adjust, and returned to Russia. He died of a heart attack in Warsaw at the age of 34. Although Gnessin was provincial, he became a sophisticated romantic writer. Recognized as one of the fathers of modern Hebrew literature, he was among the first to introduce psychologically-oriented fiction into Hebrew literature, and his stream-of-consciousness technique has greatly influenced contemporary authors.